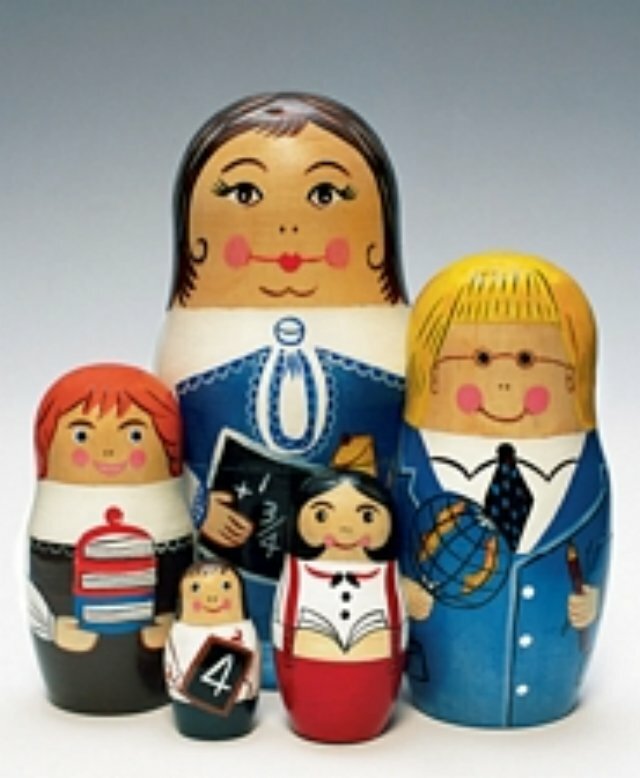 Get back to school for some fun filled learning with our teacher and student nesting doll set. Our math, geography and English teachers share their knowledge with the two eager students. A mind-expanding collectable and gift for your favorite teacher or student. Largest doll measures 5" tall.